Norwich City midfielder Tom Trybull is likely to miss the rest of the Championship season after injuring ankle and knee ligaments. The 24-year-old German signed a new deal and scored the winner against Middlesbrough on Saturday, but was forced off in the second half. The former ADO Den Haag player will be out of action for at least 10 weeks. 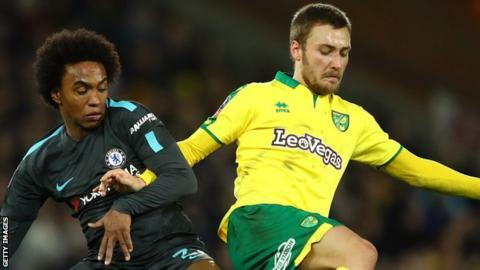 "The last two days we were really down and Tom was down as well," head coach Daniel Farke told BBC Radio Norfolk. "We'll have to do without him over the next two and a half months and to be honest it really means for him the end of the season."